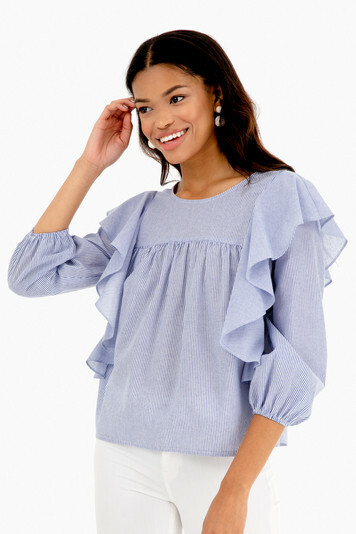 With a slight balloon sleeves and ruffle detailing, the Ashton Blouse will be your date night go-to. 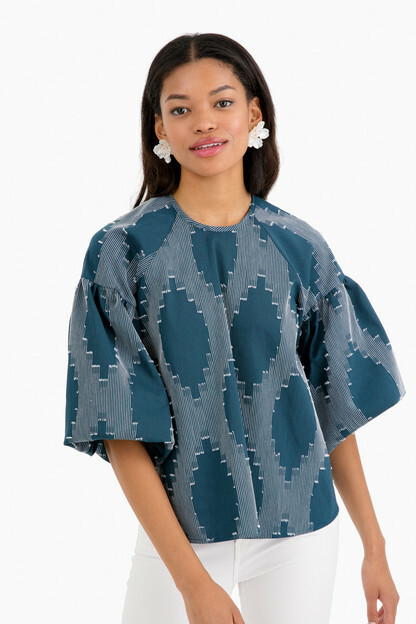 Feminine and trendy, this top will take you from the summer to the fall! I have only had this for a week but have already worn it 3 times! Once under a sweater, once tucked in and once out with skinnies! Love all looks and it’s so soft and comfortable! 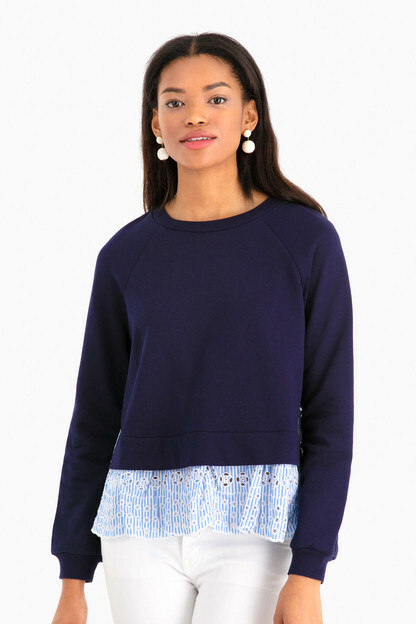 Fun details and is light ant airy! 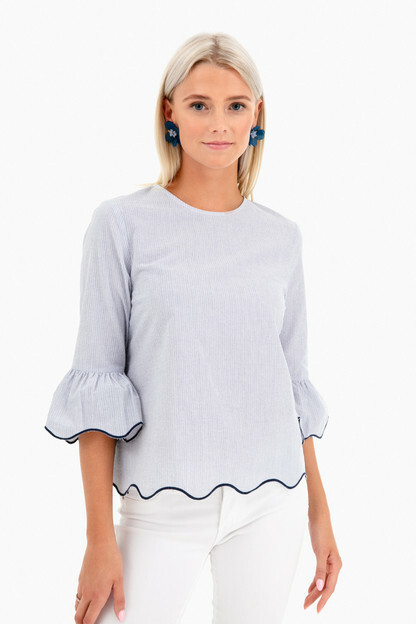 Looks great with white jeans. Fit me perfectly!